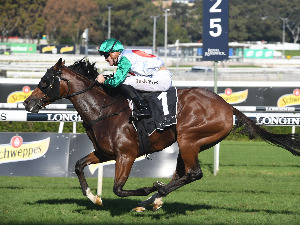 Race Synopsis: This G1 1400m at WFA for all comers drew an ordinary field of handicappers and Melody Belle, which ran favourite, narrowly won showing she needs a good gate and this type of race. 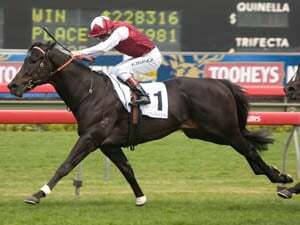 She had performed abysmally at her prior start the G1 Telegraph (1200) under set weights and penalties carrying 57kg from a wide gate and she had been defeated in her run before that too albeit unluckily from a double-digit barrier as well in the same race level and conditions. The Te Rapa track looked and raced very scruffy plus when on a hot dry day all runners are steered well away from the inside lanes and head towards the middle on a Good 3 surface then you have not just a visually damning problem but a track issue. 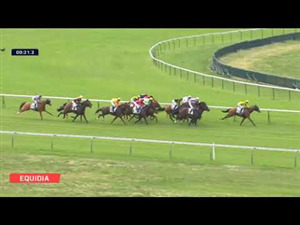 Remember this is the only dual G1 and dual G2 raceday at Te Rapa so to have the Rail out 5m foretold a problem and then the inside lanes were total quicksand plus a track the stipes released as a Dead4 was upgraded to a Good3 from R3 to perplex the picture even more. The winners and where they turned for home in race order were seventh (last angled six-wide and four lengths from the leader), third (three-wide and a length from the leader), eighth (eight-wide and three lengths from the leader), third (three-wide and half a length from the leader), third (four-wide and a length from the leader), fourth (eight-wide and half a length from the leader), fifth (four-wide and three lengths from the leader), seventh (six-wide and two and a half lengths from the leader) and third (seven-wide and half a length from the leader). The track was toxic and biased beyond belief whereby no leader won (this is usually one of if not the most leader manmade biased track in all of New Zealand) and today the pendulum swung too far to the other extreme. The manmade bias today saw on a Good3 track every winner came three-wide and more so up to eight-wide turning for home and the jockeys steering well off the inside lanes near and on the home turn tells you everything. This raceday has had massive problems before with disastrously presented tracks and manmade bias and even had one year when the track rating officially released locally and Internationally in the morning by the Chief Stipe and Trackman was totally false by an enormous amount. Melody Belle drew barrier two and raced seventh the outer and was surrounded sixth turning for home but looking to pierce through and reached fourth at the 200m. The 4yo mare was gradually hauling them back from third at the 100m and got to the front with 10m to go and score by a head in 1:22.62. It was her ninth win from eighteen starts and her fourth at G1 (three this season at WFA from barrier draws of one, two and seven at 1400m and 1600m) plus a 2yo win at 1400m from barrier six. 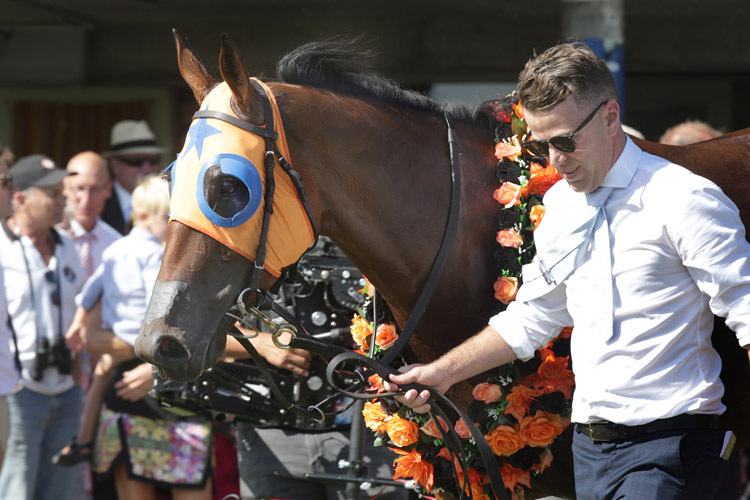 She won four races in New Zealand from barriers one, two, three and four and a bog track G2 at Eagle Farm as a juvenile from barrier six so single digit draws are the common denominator of her career. Whether she was at her best today is very debatable as the opposition was poor and the mare just got up rather than ping as she had shown in the Spring so was almost dour. Bostonian had been every chance in the two G1 1200m races under set weights and penalties prior when drawn well enough in both and getting a soft run each time. The 4yo had in fact been disappointing when seventh then fifth and maybe the rise to 1400m helped his cause as it clearly did Melody Belle regain her mantle. He raced fourth today in a dream spot once again from a decent barrier and came up- third turning in and reached second at the 200m then led at the 100m. Bostonian never pinged and could not shake of Ardrossan the final stages only to be collared narrowly late. 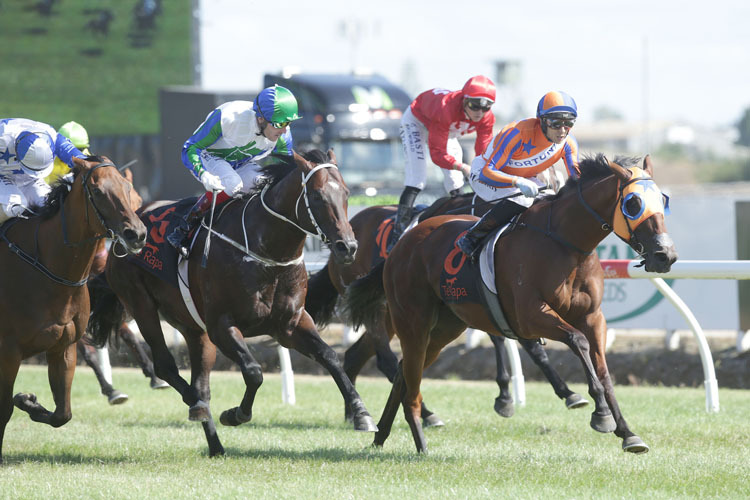 Ardrossan lost his unbeaten in New Zealand record today but ran a third at G1 under WFA beaten a head and a nose after sitting second the outer and leading at the 200m. He was outclassed in three Australian runs last year at G3, Listed and even an Open Handicap but today almost won a G1 at WFA in New Zealand and that is very telling indeed. Volpe Veloce settled back and ran on for fourth beaten just over two lengths but her record at G1 continues and is now eight runs for one win and no placings. True Excelsior led and up may have gone a bit quick as at 1400m she is very vulnerable but once headed and third at the 200m fought well and finished fifth beaten just over two lengths. The rest got beaten four lengths and up to seven and a half lengths with Ugo Foscolo another flop and Hi Flyer a dreadful last and he is clearly overrated too. 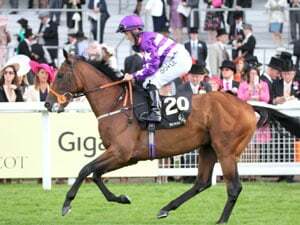 Hi Flyer last won a race in June of 2018 and before that December of 2017 where as Ugo Foscolo last won a race in April of 2018 and before that in November of 2016, albeit the G1 2000 Guineas, and he has been poor overall. This was not a G1 race or anywhere near it and take out Melody Belle and it was G3 at best with so many out of form runners and rare winners (allergic to the winning post). All the runners are handicappers bar Melody Belle and she ironically is a WFA only performer with the caveat of must get a soft gate, so this was outsider her one of the weakest ever runnings of this race. The two G1's today at Te Rapa both had one only serious runner in each field and both were 4yo mares that ran favourites with the rest in each line up handicappers only and many out of form. Danzdanzdance incredibly got beaten out of the money at $1.50 and the other Melody Belle won at $2.80 (the price suggested doubt had crept in on this mare at all quarters). Melody Belle will likely tackle a G1 mile at WFA next and try to ensure she wins the sprinter/miler of the year award and the WFA performer in one swoop and maybe Horse Of The Year but the latter is not yet cast in tangerine stone. The Autumn carnivals in Sydney and Melbourne could spoil the coronation of Melody Belle if something won at G1 at WFA as they are Internationally accepted as far superior depth races and of much greater significance. Like a lot of other racing jurisdictions now, a G1 win in New Zealand has no International oomph whatsoever and is considered on a different (lower and inferior) tier and rightly not recognised as meaningful anymore. The two G1 races today at Te Rapa only served to buttress that point and racing reality graphically even more so.